Shower Enclosures in St. Louis, MO. Our knowledgeable staff will help you in selecting the best shape and size shower enclosure to work with your bathroom’s design and functionality. At Signature Kitchen & Bath, we understand that every bathroom space is unique – each with a different layout and size requirements. Our ultimate goal is to create a space of relaxation that compliments your style preferences and enhances the look and feel of your bathroom. Trust the professionals at Signature Kitchen & Bath to get the job done right with proper installation in a timely manner. 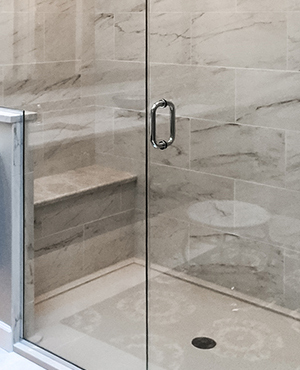 Contact Us to schedule your free consultation with our experienced designers or Visit Our Showroom to explore the shower enclosure options we have to offer.